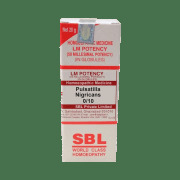 Pulsatilla is a homeopathic remedy made from Wind flower plant. All mucous membranes are greatly affected. The symptoms are ever changing and it is useful with complaints coming from any sudden changes in the weather. 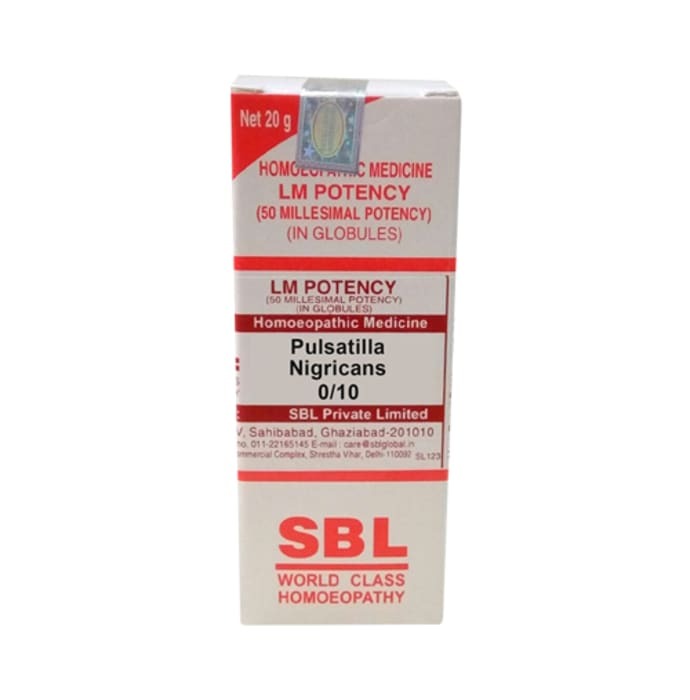 A licensed pharmacy from your nearest location will deliver SBL Pulsatilla Nigricans 0/10 LM. Once the pharmacy accepts your order, the details of the pharmacy will be shared with you. Acceptance of your order is based on the validity of your prescription and the availability of this medicine.